Scotts Turf Builder Halts Crabgrass Preventer does two jobs at one time: feeding and preventing new weeds from seed. Be sure to water your lawn after you spread this product. Scotts EZ Seed for lawns with bare spots. Remember to NOT spread Turf Builder Halts in areas you plan on seeding. If you have large areas to seed and you need to prevent crabgrass, you should use Scotts Turf Builder Starter Lawn Food for New Grass Plus Weed Preventer to stop crabgrass without stopping your new grass seed from growing. 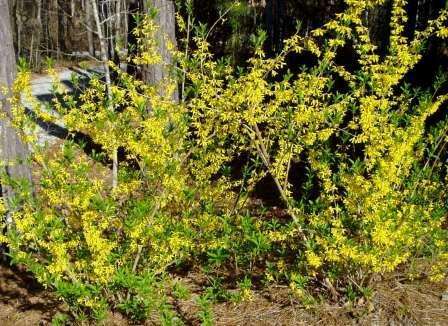 You should apply your crabgrass Preventer by the time forsythia bushes in your neighborhood have stopped blooming and lost their flowers, or if you do not have forsythia, by the time you see lilacs in bloom, or before you start seeing dandelion puffballs. The idea is to allow the spray to absorb thru the weed leaves to kill the plant roots and all. So you should either hold off mowing for a day or two after spraying so you do not mow the recently sprayed leaves before the spray enters the system OR if you spray after wait a day or two after mowing for ample new leaves to grow to provide more surface area to spray.